Comfortable bed. Lift a little slow. Breakfast tasty. Would have enjoyed natural yoghurt. Breakfast was very good if you're ok with no eggs or meat. 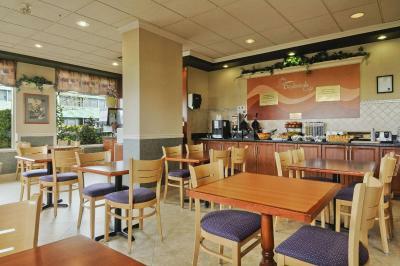 Breakfast and cleaning staff were very friendly and helpful. Sky train station is nice and close to go down town or to the airport. i needed a place to stay for an early morning flight from Vancouver. The location and price were excellent for the purpose. Really close to the airport. 5 minute shuttle ride. When you arrive just call them and they will send a shuttle to pick you up. When you leave they'll have to sign up for a time and you're g2g. 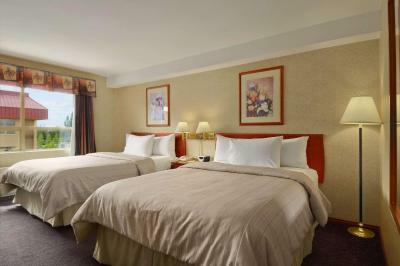 Large room that was absolutely spotless, comfy bed, good breakfast. Location was perfect for an early morning flight. Clean and quiet. Close to YVR airport. Rooms were nice. Parking was convenient. Breakfast was good. That is was a 5 minute walk to training. Station to catch train to downtown . The comfortable bed and the very prompt response to our lost cellphone enquiry! 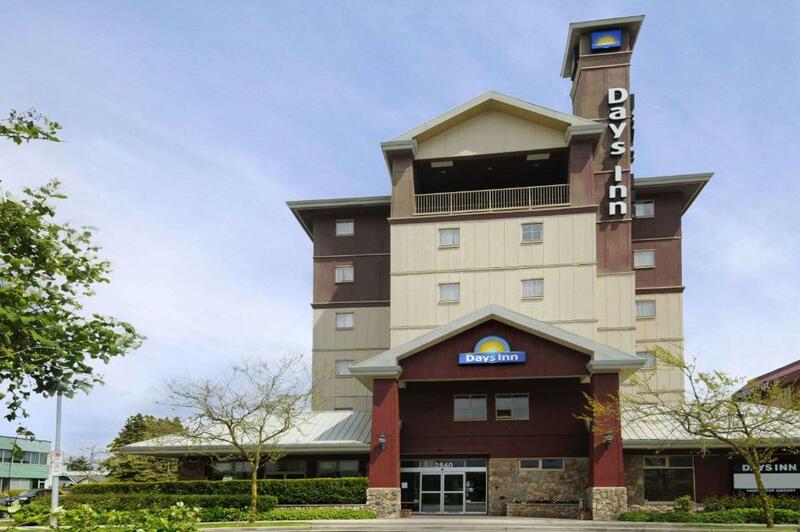 Days Inn by Wyndham Vancouver Airport This rating is a reflection of how the property compares to the industry standard when it comes to price, facilities and services available. It's based on a self-evaluation by the property. Use this rating to help choose your stay! 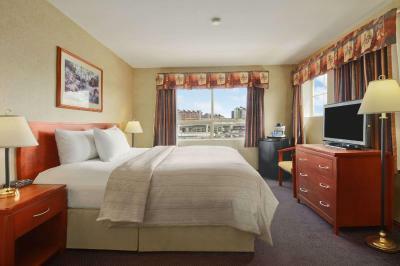 One of our top picks in Richmond.Featuring a free airport shuttle service, this Richmond hotel is located 1.2 mi from Vancouver International Airport. 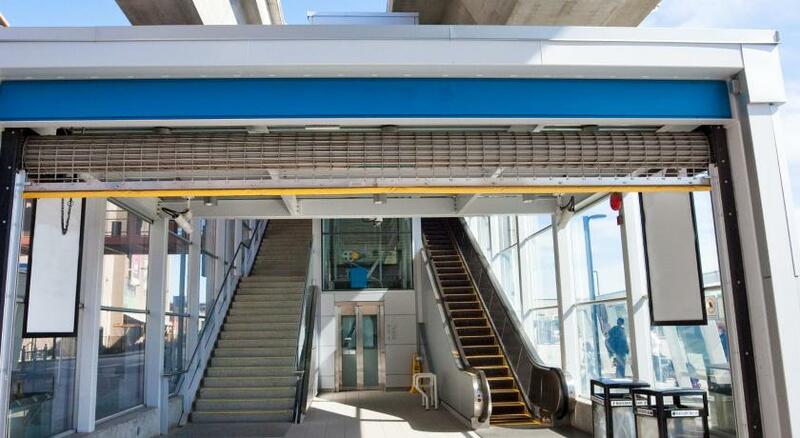 Canada Line Bridgeport Station is 7 minutes' walk away. Free WiFi is provided. When would you like to stay at Days Inn by Wyndham Vancouver Airport? 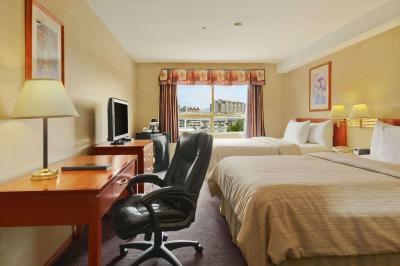 This room includes free Wi-Fi and cable TV. A fridge and tea and coffee-making facilities are also available. 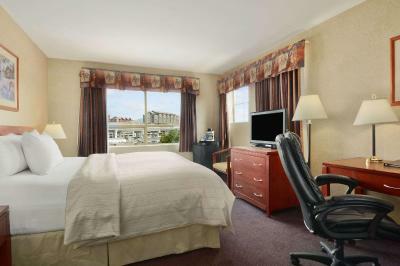 This room includes free WiFi and cable TV. A refrigerator and tea and coffee-making facilities are also available. This room features a wider entrance. The private bathroom features a stool and railing. We welcome our guests with open arms and always have your best interest top of mind. 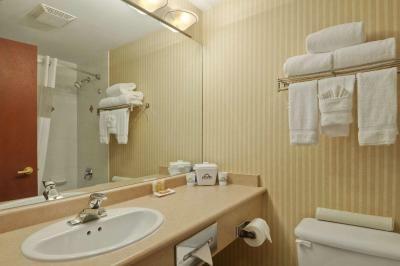 Our goal is to make your stay is nothing less than perfect. Location is key; we offer easy access to exciting sights and historical attractions. 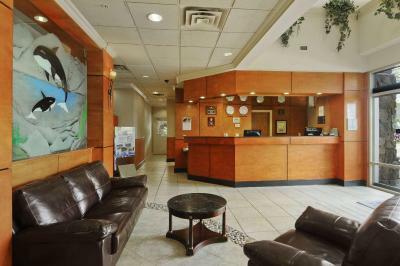 House Rules Days Inn by Wyndham Vancouver Airport takes special requests – add in the next step! One additional adult is charged CAD 10 per night in an extra bed. Days Inn by Wyndham Vancouver Airport accepts these cards and reserves the right to temporarily hold an amount prior to arrival. Please note, the property does not accept Visa Debit or MasterCard Debit cards at the time of booking. 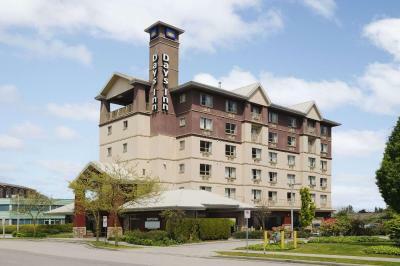 Please note, a CAD $250 security deposit is charged at arrival, in addition to the total room and tax due. Please note, the free airport shuttle is available between 04:30 until 00:30 (by request upon arrival). Guests must contact the hotel directly to arrange long-term parking. There was no hot water, at all!! We could not take showers before leaving for the airport, and we had plans in NY when we arrived there. They did not offer to give us any sort of refund for the inconvenience. Soundproofing of the room was not great. Can hear the other guests talking very clearly from the other room. This wasn't good as we used for short layover to catch the flight early in the morning. Free shuttle pick up and breakfast. There was not hot water . We couldn’t shower after travelling. I wasn’t informed prior to arrival of the situation. I was then told it would cost me 100 dollars to go else where it was 9-45 in the evening. Not a happy customer! Having our room beside the laundry room was tough as we are 2 single moms and on a kiess night away and wanted to sleep in. But workers need to talk to organize their day...just something I need to think about when booking. Unreasonable amount of money held for a deposit and I still haven’t received it back and I’m really annoyed about it. Also no hot water that was fine for the evening but even in the morning till check out there was no hot water and no adjustment in the rate was given that’s not OK with me. It was our bad luck we were delayed coming by plane so the shuttle bus had stopped running. So we had to get a taxi as it was so late. The carpet in the room had a very very strong smell of carpet cleaner and was almost unbearable. We asked for another room, but all rooms were booked. We opened the windows, ran the fan on the AC unit, and ran the bathroom fan overnight. The smell was almost gone the next day. This room should have been aired out for a day before use. Location met my needs as this was an overnight stay prior to an international flight; I appreciated the shuttle service to the airport. The room itself was clean and comfortable. However, hot water was unavailable for 2 days out of our three day stay. This was unforseen by the hotel, however dealt with very poorly by management. We were told that plumbers were working on it on Sunday morning, still nothing by Monday morning. This was frustrating obviously as we had two events to attend. When the management was contacted we were offered $20 off our stay. Apparently other guests were offered an early check out, this was not offered to us, even though we had been to the front desk and asked them when it would be resolved. We are not unreasonable, we realize that this was not planned and nobody's fault. However, after spending $480 for three nights, with no hot water for two of these days, $20 off was quite insulting. Therefore, due to how this was handled by management, we would not stay with this chain again or recommend them to anyone. Nothing, great service from start to finish!